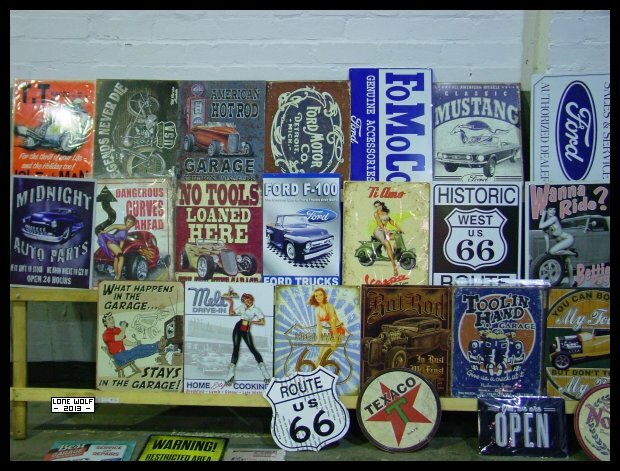 A few of the enamel signs for sale at Donington. The valve spring compressor, which I couldn't find back in April when the B31 broke a spring, turned up . . . . in a box . . .in my bedroom. Had Christmas dinner with Andy M - and very good it was too. Friday was the Moonshiners post-Xmas bash. Sunday - myself and Andy M headed over to Donington for the classic bike and car show.